Chandigarh, 25th February 2017: Table toppers Dabang Mumbai made it to their first ever Final in the history of the Coal India Hockey India League with a comfortable 2-0 win against the Delhi Waveriders in the second Semi Final of the day. 26 February promises to be an exciting Final day with Kalinga Lancers taking on Dabang Mumbai in a battle of equals and interestingly both teams will be led by German skippers Moritz Fuerste and Florian Fuchs respectively. In the 3rd and 4th Placing match, Uttar Pradesh Wizards will play Delhi Waveriders. Dabang Mumbai were on top of their game from the very beginning with better ball possession and circle entries. Though Delhi Waveriders won their first PC in the opening quarter, their woes with converting them continued. However, Dabang Mumbai were clever to use their PC when they attempted a field goal to ensure a 2-0 lead as a field goal counts for two goals. A perfect set piece saw Robbert Kemperman put the ball past Vincent Vanasch in the 26th minute that set the tone of the match for Dabang Mumbai’s win. Almost immediately Delhi Waveriders earned a brilliant opportunity to equalise when they were awarded a penalty stroke, however, Irishman David Harte who won the FIH Goalkeeper of the Year 2016, was impeccable in his efforts when he swiftly padded away Iain Lewers’ strike to deny them an equaliser. Harte was awarded with the Man of the Match for his incredible performance on Saturday. Harte’s save was perhaps the clincher for Dabang Mumbai who came up with a tactical defensive structure to keep their lead through the third quarter. Though both teams traded two PCs each in this quarter, neither could successfully convert the goal. The Delhi Waveriders made desperate attempts to come back into the game in the final quarter but a a strong defence in Dabang Mumbai led by Harte at the post kept them at bay. “We are overwhlemed by making it to the Final and more so by how we performed today. We know we played our best hockey and our defensive worked out perfectly. When David Harte saved that penalty stroke it seemed like that was the key,” stated Florian Fuchs on winning the Semi Final. Robbert Kemperman of Dabang Mumbai was awarded with a prize money of Rs 50,000 for scoring the Coal India Goal of the Match from Mr. B.K Upadhyay, Regional Sales Manager Coal India Ltd.
Affan Yousuf of Dabang Mumbai won the prize of Rs 25,000 for being the Hero Young Achiever of the Match from Dr. Chander Shekhar, President, Hockey Chandigarh. The Airtel Most Entertaining Player of the Match was awarded to Robbert Kemperman of Dabang Mumbai that came with a prize money of Rs 25,000 and presented by Mr. Gyanendro Ningombam, Member, Hockey India Executive Board. 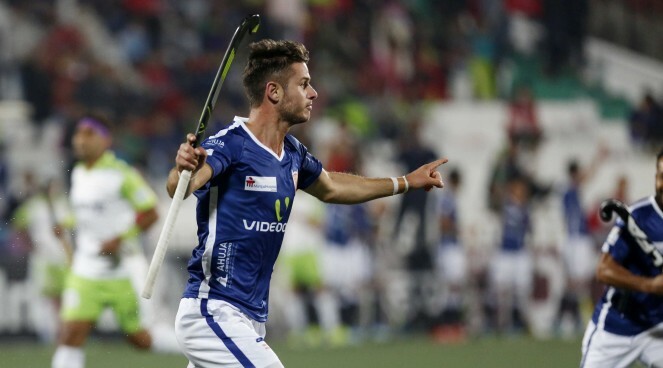 David Harte of Dabang Mumbai was declared the Man of the Match and was awarded a prize money of Rs 50,000 by Mr. Jason McCracken, CEO, International Hockey Federation. On 26th February, 3/4th place Play Off and Final with be held at the Chandigarh Hockey Stadium. 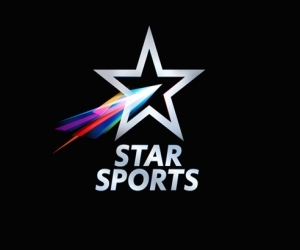 Dabang Mumbai Vs Kalinga Lancers at 19.20hrs.